In most school districts, as access to and participation in Advanced Placement exams have gone up, the exam passing rates have gone down. But that isn't always the case. The Eli and Edythe Broad Foundation, looking to identify urban districts with promising trends in student achievement and college-readiness, analyzed four years of AP exam participation and passing rates for students in the 75 districts whose demographics qualify them for consideration for the annual Broad Prize for Urban Education. It found six districts where African-American students were improving their passing rates while keeping participation levels steady. 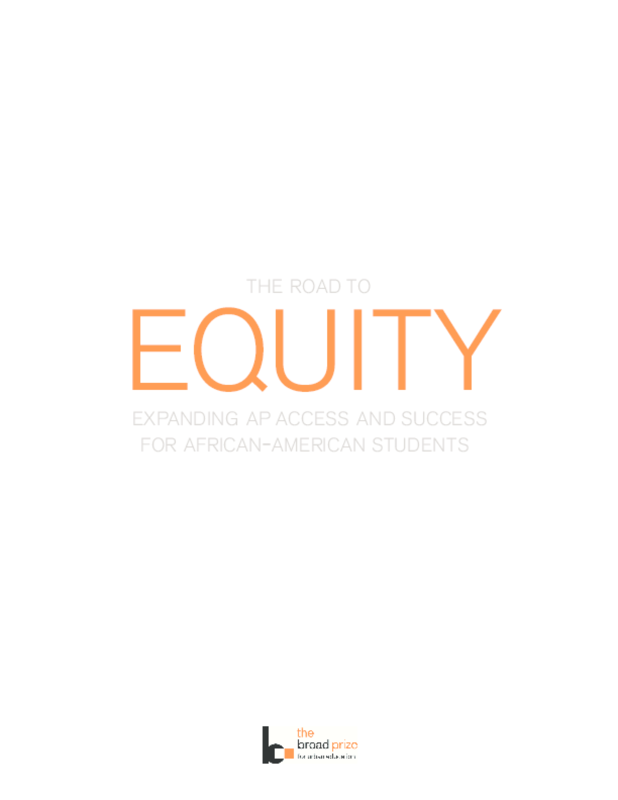 This report illustrates some of the promising practices contributing to AP success in these six districts. Copyright 2013 Eli and Edythe Broad Foundation.